The new hit duo has a second hit single on their hands. I think it’s exciting when young country acts come into the genre. They bring young fans into the genre. The great thing about country music is that there are artists for everybody. All ages are covered. Sometimes it trends a little one way or the other and right now it’s kind of trending in the younger direction and I think that’s okay. 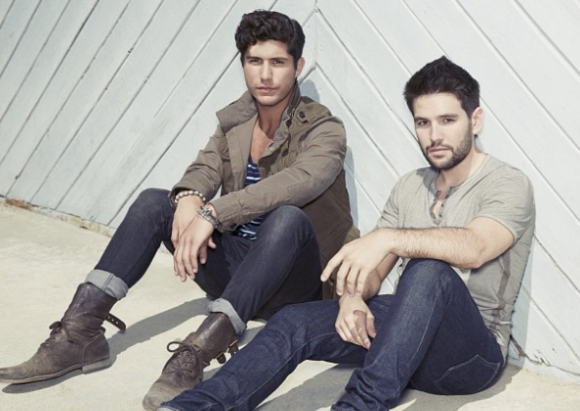 One of the hot young country acts is Dan + Shay. Their first single reached the top ten on the charts. And their second single is already on the fast climb. Check it out. The song definitely has some pop influences. It’s catchy and hip. It kind of makes you want to get up and dance around, but that’s what the song is about. The guy is falling in love and he wants to go all over and show this girl off. And that’s kind of what young love is about. You have this feeling like you’re on top of the world. You’re kind of caught up in each other and you want everyone to see and feel how happy you are. I’m sure it’s annoying to everyone else, but you can’t help it when you’re young and in love. These two guys have some kind of chemistry. I heard they weren’t together very long before getting their record deal and now they have two hit singles on the charts. I think it’s pretty cool. They have a unique sound and country fans are digging it. What do you think of this new one? It’s a little different if you like traditional country, but there seems to be an audience out there for it.